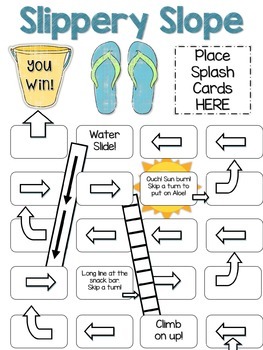 This slope activity is a board game that resembles the childhood game "Chutes and Ladders." 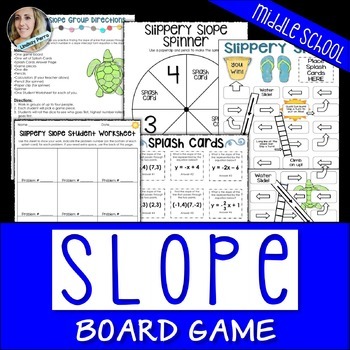 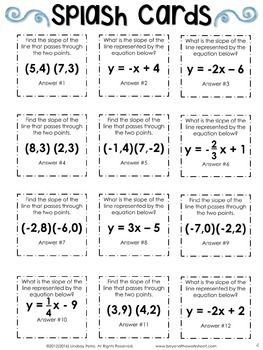 Students must find the slope of the line that passes between two points and identify the slope in slope-intercept equations in order to move along the game board. 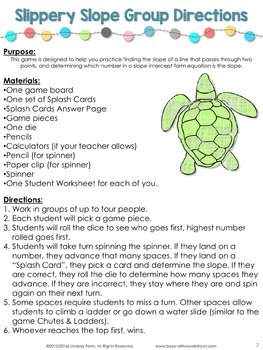 Included are teacher directions, group directions, question cards, answer key, student worksheet, spinner and game board.